The dropshipping business model used to be fairly unknown not so long ago. However, it became quite popular in the recent years, at least according to the amount of the online searches for the term dropshipping. Basically, you can dropship between almost any market as long as it is profitable. In this article, I will introduce you to everything you need to know in order to start a drop shipping business. Even though some of you might think DS from Amazon to Ebay is illegal, that is not the case. There are no explicit laws that prevent that business strategy. However, some people think there is a moral problem when conducting such a business. eBay customers who get products in Amazon packaging often feel cheated when they find out their $19 item is available on Amazon for 9$. When these buyers realize you are DS between the platforms, they will often leave a negative review on your account or just return the product. Amazon sellers can also be among those who feel tricked when realizing you are earning a profit on their products. There was a story about an Amazon seller (how to become an Amazon seller) who, once he saw one of his exclusive items being sold on eBay for a much higher price, ordered his product from a DS and then raised the price of his product on Amazon, so the seller had to cancel the eBay order. He concluded with leaving a lengthy negative review on the seller’s account. damaging his reputation. eBay is another important actor who dislikes any DS from Amazon to their market. They have made quite some effort in the past in order to limit such actions. For example, there was a case in July 2017, when eBay banned hundreds of Israeli accounts who were actively buying from Amazon and sending the items to eBay. The explanation behind the move was the risk behind such a business model and the dissatisfaction of the buyers when they realize their product came from Amazon (and it is available for less than they paid). They also forbid a company to present their products on one of their exhibition areas during the eBay Open event as their solution included sending goods from Amazon to eBay. It is reasonable for eBay to battle this type of dropshipping as it damages its reputation. The buyers are always disappointed when they find out they paid more on eBay than they would on Amazon. To make it even worse, there those drop shipped items come in Amazon’s packaging, which is a free advertisement for their main competition. Arbitrage is an expression that originates from the stock markets. It basically means that you buy a certain item or asset and later sell it at another market for a higher price, making some profit in the process. People who do this usually know a lot about price action or are at least experts on certain niche markets. A common seller would try to promote his merchandise to a limited market like antique collectors. But someone, keen on arbitrating between Amazon and eBay, would buy an antique item and market it as a vintage decoration furniture (people who are redecorating present a much higher market than antique collectors). That seller will usually set a higher price and make an arbitrage profit on his sales. So, what do you need in order to have a successful Amazon to eBay arbitrage? Firstly you need a decent amount of knowledge about a niche market. You also have to be able to find an undervalued item in a lesser known marketplace. Last but not least is a good feeling for marketing and rebranding. All in all, there is plenty of opportunity for arbitrage on both eBay and Amazon. There is a couple of common mistakes, made by the sellers that you can use to your own advantage. Misspelling – There are many sellers who misspell or shorten words as if there is not enough space in the title. That means that nobody can find their products. After a while, the seller is desperate to sell, meaning you can get their merchandise at a cheap price. Bad photo – Items that have a bad quality photo are less likely to be bought, meaning you can also get them cheaper. Missing keywords – When people forgot to put an important keyword in the title, their chances to sell drop significantly. For example, someone selling some jeans could call it ‘slim fit trousers’ instead of ‘slim fit jeans’ which people are more likely to look for. 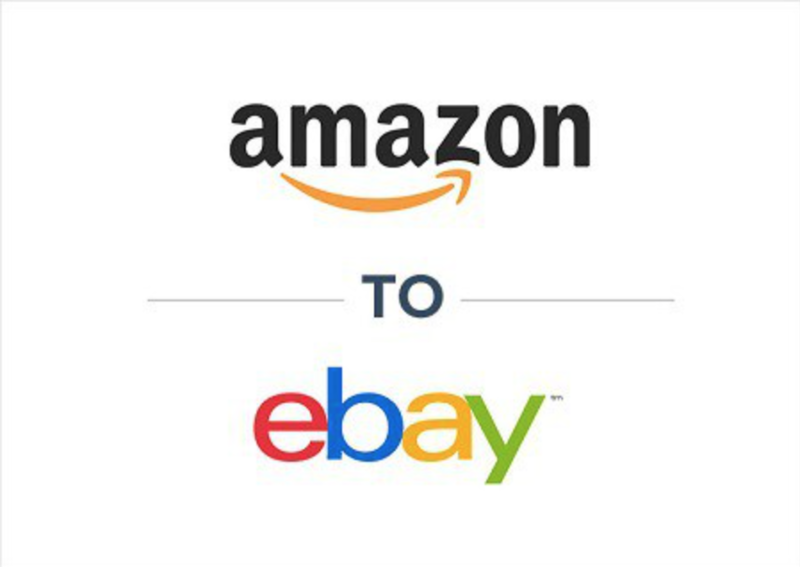 Go to eBay and find products that are currently in demand. You can check the eBay’s trending page or just go browsing different categories until you find the products that are getting a lot of bids. When you have chosen the item you want to arbitrage, determine the products average price by comparing different offers on eBay (it is advisable to avoid extremely cheap or expensive items, aim for something in the middle). To be on a safe side, take away 10% of the items price. Go to eBay and Amazon and use all the misspellings of your product and category and also look for products with the bad quality picture. That is the best way to find your desired item on the cheap. When you find an item with a good potential, figure out if the listed price allows you to make a profit on it. For example, if you find some glasses on Amazon for 15$ and the people are offering the same product for 25$, then your profit should be 10$ minus PayPal fees, eBay fees and shipping costs. After you have those numbers figured out, you are good to go. If you want to do this on another market, for example, Aliexpress to eBay or Amazon, the process is basically the same. The strategy is easily repeated in any marketplace. While the Amazon to eBay arbitrage model does present some challenges and is not ideal in itself, it still presents a nice profit opportunity. There are quite a few people who made this business model work for them. Go to Amazon and find an underpriced item, using the previously mentioned methods. Make a new eBay listing for the product (if you are looking for a professional look, go check the CrazyLister). If you have a good quality picture of the product, you should use it, if not, go find a better one on Google. The visual appeal of your listing is very important as it helps tremendously in boosting your sales. When looking at the text you can always copy it, but it is advisable to take some time and edit it, to make it more convincing. Convince your customers why they should buy your product. Sell the item on eBay and order it on Amazon. Make sure that you check the box that marks your product as a ‘gift’, so your customer will not find out how much you paid for your item. That’s all! You just made some profit. Now just repeat the same method and you could be starting making some money to supplement your paycheck or even transform this business model into your primary source of income. That method works both ways. You can also dropship in between any other marketplaces. There are some pitfalls that you should try to avoid when dropshipping from one marketplace to another. The seller from whom you are buying stuff on Amazon is in charge of packaging, shipping and the quality of the item. If there is a problem with the package whether is of low quality or mishandled, or it is not sent on time, you will be the one who deals with customers complaints, not your dropshipper. You will suffer the negative feedback on your seller account. You don’t have any idea about your dropshipper, his whereabouts, or where he gets his inventory from. As far as you know, he could have only a one-time product supply and after that, he could run out of items. If you end up selling too much, and your dropshipper runs out of items, you could end up being unable to supply your eBay orders and your account might get suspended as a result. Most of the time you can find and sell products on Amazon that have free shipping included. However, it can happen that a customer on eBay orders a product from you while your dropshipper is out of stock. Most people would not hesitate to cancel the order. The problem lies in the eBay ratings. If you cancel an order too many times, the platform will punish you. If you already have some warnings from eBay you should look for another seller of the same product. It could as well happen that this seller does not ship for free or sells its product for a higher price, lowering your profit margin. Sometimes the profit margins are simply too low for you to be spending your time. You could still go for some low profit dropshipping when considering you don’t have to work that hard to make that profit. Furthermore, you can always raise your profits by selling larger quantities of dropshipped items. As the competitive advantage is an integral part of any successful business, you should be aware of this. Only by means of competitive advantage can you grow your eBay business to match some of the most successful sellers out there. When dropshipping you are basically just copying and pasting items from one platform to another, meaning you have no competitive advantage as anyone can do the same as long as they figure out your niche. 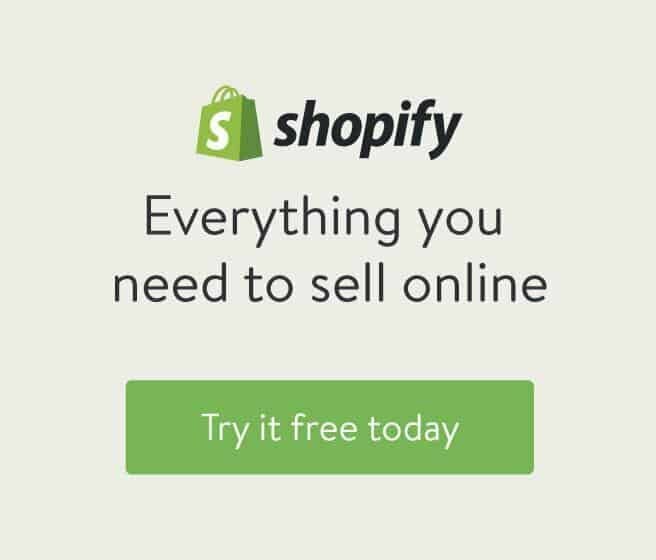 Furthermore, there are a lot of dropshipping companies that compete with their own customers as they are offering their own items independently. Dropshipping looks simple at first since you don’t have to ship or purchase the product yourself. Despite that first impression, the truth is that you still have to be answering your customer’s questions, and manage all the complaints and compensations in case something is wrong with the order. While the arbitrage business model might not be right for anyone since it is very volatile in terms of price and products on offer, it is still a decent way to make some nice profit if you go about it in the right way. It can really increase your monthly cash flow, but not without effort. You should be a very dynamic person as you need to be on a constant lookout for different items and prices. It is quite a time-consuming process but in the end, making money usually takes some time. When doing this type of business you should be automating your business as much as possible. Doing that you are more efficient while staying ahead of your competition. We still think that it would be more profitable and less time consuming if you would start your own Amazon seller business with Amazing Selling Machine 2018. 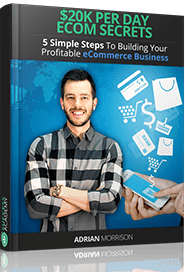 This course show’s you exactly how you can build your can start selling products on Amazon in few simple steps and slowly build you own eCommerce business.